Creating Minds is one of the most enjoyable as well as one of the most informative books I have ever read. Recently, I re-read it and enjoyed it even more. Specifically, this “new approach” begins with the individual but then focuses both on the particular “domain,” or symbol system, in which an individual functions and on the group of individuals, or members of what Gardner calls the “field,” who judge the quality of the new work in the domain. This is the approach he takes when analyzing the lives and achievements of Freud, Einstein, Picasso, Stravinsky, Eliot, Graham, and Gandhi. Throughout the book, Gardner makes brilliant use of both exposition (e.g. analysis, comparison and contrast) and narration (especially when examining causal relationships of special significance) to reveal, explain, and evaluate each of the seven geniuses. 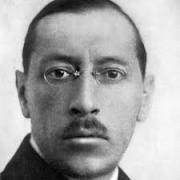 To learn more about Igor Stravinsky and his work, please click here. Howard Gardner is the Hobbs Professor of Cognition and Education at the Harvard Graduate School of Education. Creating Minds: An Anatomy of Creativity Seen Through the Lives of Freud, Einstein, Picasso, Stravinsky, Eliot, Graham, and Gandhi was first published by Basic Books in 1993 and later reprinted in 2011.